Добро пожаловать в специализированный магазин i-product.by !!! Договор с авторизованным Минским сервисным центром ! 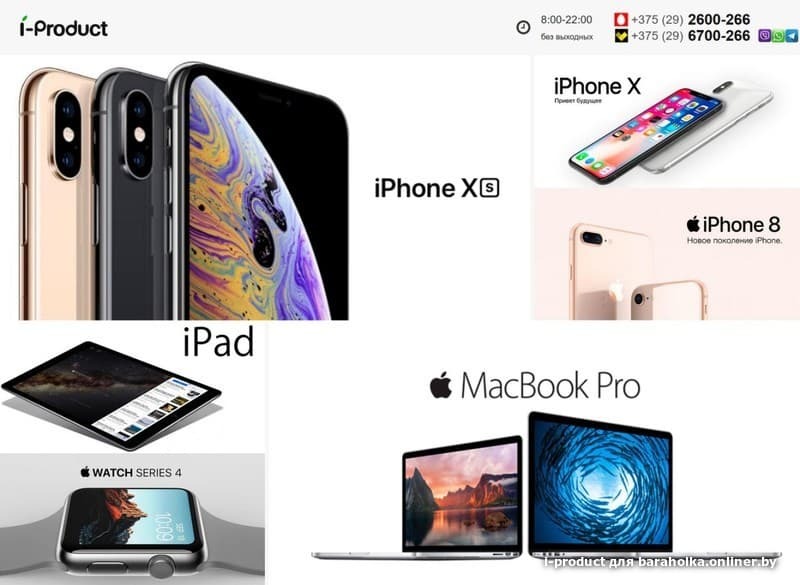 15 дней на проверку apple iPone/ iPad/ Watch/ airPods. Z0V7/1 13-inch MacBook Pro Touch Bar - Space Gray 2.3GHz quad‑core 8th‑generation Intel Core i5 processor, Turbo Boost up to 3.8GHz	8GB 2133MHz LPDDR3 memory	512GB SSD storage	Intel Iris Plus Graphics 655 - от 5240 руб. Z0V7/2 13-inch MacBook Pro Touch Bar - Space Gray 2.3GHz quad‑core 8th‑generation Intel Core i5 processor, Turbo Boost up to 3.8GHz	8GB 2133MHz LPDDR3 memory 1TB SSD storage	Intel Iris Plus Graphics 655 - от 6100 руб. Z0V7/3 13-inch MacBook Pro Touch Bar - Space Gray 2.3GHz quad‑core 8th‑generation Intel Core i5 processor, Turbo Boost up to 3.8GHz	8GB 2133MHz LPDDR3 memory 2TB SSD storage	Intel Iris Plus Graphics 655 - от 7900 руб. Z0V7/4 13-inch MacBook Pro Touch Bar - Space Gray 2.3GHz quad‑core 8th‑generation Intel Core i5 processor, Turbo Boost up to 3.8GHz 16GB 2133MHz LPDDR3 memory 256GB SSD storage	Intel Iris Plus Graphics 655 - от 5240 руб. Z0V7/5 13-inch MacBook Pro Touch Bar - Space Gray 2.3GHz quad‑core 8th‑generation Intel Core i5 processor, Turbo Boost up to 3.8GHz	16GB 2133MHz LPDDR3 memory 512GB SSD storage	Intel Iris Plus Graphics 655 - от 5650 руб. Z0V7/6 13-inch MacBook Pro Touch Bar - Space Gray 2.3GHz quad‑core 8th‑generation Intel Core i5 processor, Turbo Boost up to 3.8GHz	16GB 2133MHz LPDDR3 memory 1TB SSD storage Intel Iris Plus Graphics 655 - от 6500 руб. Z0V7/8 13-inch MacBook Pro Touch Bar - Space Gray 2.7GHz quad‑core 8th‑generation Intel Core i7 processor, Turbo Boost up to 4.5GHz 8GB 2133MHz LPDDR3 memory 256GB SSD storage Intel Iris Plus Graphics 655 - от 5440 руб. Z0V7/9 13-inch MacBook Pro Touch Bar - Space Gray 2.7GHz quad‑core 8th‑generation Intel Core i7 processor, Turbo Boost up to 4.5GHz 8GB 2133MHz LPDDR3 memory 512GB SSD storage Intel Iris Plus Graphics 655 - от 5800 руб. Z0V7/10 13-inch MacBook Pro Touch Bar - Space Gray 2.7GHz quad‑core 8th‑generation Intel Core i7 processor, Turbo Boost up to 4.5GHz 8GB 2133MHz LPDDR3 memory 1TB SSD storage	Intel Iris Plus Graphics 655 - от 6800 руб. Z0V7/11 13-inch MacBook Pro Touch Bar - Space Gray 2.7GHz quad‑core 8th‑generation Intel Core i7 processor, Turbo Boost up to 4.5GHz 8GB 2133MHz LPDDR3 memory 2TB SSD storage Intel Iris Plus Graphics 655 от 8500 руб. Z0V7/12 13-inch MacBook Pro Touch Bar - Space Gray 2.7GHz quad‑core 8th‑generation Intel Core i7 processor, Turbo Boost up to 4.5GHz 16GB 2133MHz LPDDR3 mem 256GB SSD storage	Intel Iris Plus Graphics 655 - 5800 руб. Z0V7/13 13-inch MacBook Pro Touch Bar - Space Gray 2.7GHz quad‑core 8th‑generation Intel Core i7 processor, Turbo Boost up to 4.5GHz 16GB 2133MHz LPDDR3 mem 512GB SSD storage Intel Iris Plus Graphics 655 - 6250 руб. Z0V7/14 13-inch MacBook Pro Touch Bar - Space Gray 2.7GHz quad‑core 8th‑generation Intel Core i7 processor, Turbo Boost up to 4.5GHz 16GB 2133MHz LPDDR3 memory 1TB SSD storage Intel Iris Plus Graphics 655 - 7300 руб. Z0V7/15 13-inch MacBook Pro Touch Bar - Space Gray 2.7GHz quad‑core 8th‑generation Intel Core i7 processor, Turbo Boost up to 4.5GHz 16GB 2133MHz LPDDR3 memory 2TB SSD storage Intel Iris Plus Graphics 655 - 9000 руб. Z0V7/15 13-inch MacBook Pro Touch Bar - Space Gray 2.7GHz quad‑core 8th‑generation Intel Core i7 processor, Turbo Boost up to 4.5GHz	16GB 2133MHz LPDDR3 memory 2TB SSD storage Intel Iris Plus Graphics 655 - 5240 руб. Z0V9/2 13-inch MacBook Pro Touch Bar - Silver 2.3GHz quad‑core 8th‑generation Intel Core i5 processor, Turbo Boost up to 3.8GHz	8GB 2133MHz LPDDR3 memory 1TB SSD storage	Intel Iris Plus Graphics 655 - 6100 руб. Z0V9/3 13-inch MacBook Pro Touch Bar - Silver 2.3GHz quad‑core 8th‑generation Intel Core i5 processor, Turbo Boost up to 3.8GHz 8GB 2133MHz LPDDR3 memory 2TB SSD storage	Intel Iris Plus Graphics 655 - 7900 руб. Z0V9/4 13-inch MacBook Pro Touch Bar - Silver 2.3GHz quad‑core 8th‑generation Intel Core i5 processor, Turbo Boost up to 3.8GHz 16GB 2133MHz LPDDR3 memory 256GB SSD storage Intel Iris Plus Graphics 655 - 5240 руб. Z0V9/5 13-inch MacBook Pro Touch Bar - Silver 2.3GHz quad‑core 8th‑generation Intel Core i5 processor, Turbo Boost up to 3.8GHz 16GB 2133MHz LPDDR3 memory 512GB SSD storage Intel Iris Plus Graphics 655 - 5650 руб. Z0V9/6 13-inch MacBook Pro Touch Bar- Silver 2.3GHz quad‑core 8th‑generation Intel Core i5 processor, Turbo Boost up to 3.8GHz 16GB 2133MHz LPDDR3 memory 1TB SSD storage Intel Iris Plus Graphics 655 - от 6500 руб. Z0V9/7 13-inch MacBook Pro Touch Bar - Silver 2.3GHz quad‑core 8th‑generation Intel Core i5 processor, Turbo Boost up to 3.8GHz	16GB 2133MHz LPDDR3 memory 2TB SSD storage Intel Iris Plus Graphics 655 - от 8400 руб. Z0V9/8 13-inch MacBook Pro Touch Bar - Silver 2.7GHz quad‑core 8th‑generation Intel Core i7 processor, Turbo Boost up to 4.5GHz	8GB 2133MHz LPDDR3 memory 256GB SSD storage Intel Iris Plus Graphics 655 - 5440 руб. Z0V9/9 13-inch MacBook Pro Touch Bar - Silver 2.7GHz quad‑core 8th‑generation Intel Core i7 processor, Turbo Boost up to 4.5GHz 8GB 2133MHz LPDDR3 memory 512GB SSD storage Intel Iris Plus Graphics 655 - 5800 руб. Z0V9/10 13-inch MacBook Pro Touch Bar - Silver 2.7GHz quad‑core 8th‑generation Intel Core i7 processor, Turbo Boost up to 4.5GHz	8GB 2133MHz LPDDR3 memory 1TB SSD storage	Intel Iris Plus Graphics 655 - 6800 руб. 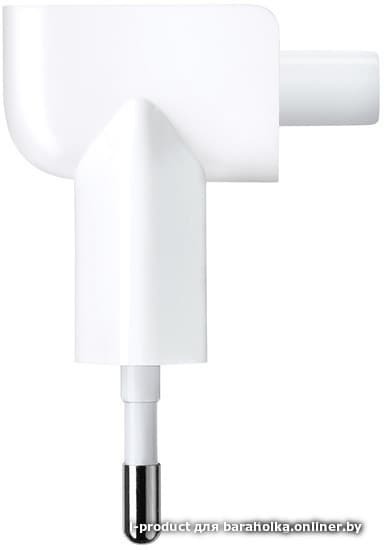 Z0V9/11 13-inch MacBook Pro Touch Bar - Silver 2.7GHz quad‑core 8th‑generation Intel Core i7 processor, Turbo Boost up to 4.5GHz 8GB 2133MHz LPDDR3 memory 2TB SSD storage Intel Iris Plus Graphics 655 - 8500 руб. Z0V9/12 13-inch MacBook Pro Touch Bar - Silver 2.7GHz quad‑core 8th‑generation Intel Core i7 processor, Turbo Boost up to 4.5GHz 16GB 2133MHz LPDDR3 memory 256GB SSD storage Intel Iris Plus Graphics 655 - 5800 руб. Z0V9/13 13-inch MacBook Pro Touch Bar - Silver	2.7GHz quad‑core 8th‑generation Intel Core i7 processor, Turbo Boost up to 4.5GHz	16GB 2133MHz LPDDR3 memory 512GB SSD storage	Intel Iris Plus Graphics 655 - 6250 руб. Z0V9/14 13-inch MacBook Pro Touch Bar - Silver 2.7GHz quad‑core 8th‑generation Intel Core i7 processor, Turbo Boost up to 4.5GHz	16GB 2133MHz LPDDR3 memory	1TB SSD storage	Intel Iris Plus Graphics 655 - 7300 руб. Z0V9/15 13-inch MacBook Pro Touch Bar - Silver 2.7GHz quad‑core 8th‑generation Intel Core i7 processor, Turbo Boost up to 4.5GHz	16GB 2133MHz LPDDR3 memory 2TB SSD storage Intel Iris Plus Graphics 655 - 9000 руб. Z0V8/1 13-inch MacBook Pro Touch Bar - Space Gray 2.3GHz quad‑core 8th‑generation Intel Core i5 processor, Turbo Boost up to 3.8GHz 8GB 2133MHz LPDDR3 memory 1TB SSD storage Intel Iris Plus Graphics 655 - 6100 руб. Z0VA/1 13-inch MacBook Pro Touch Bar - Silver 2.3GHz quad‑core 8th‑generation Intel Core i5 processor, Turbo Boost up to 3.8GHz 8GB 2133MHz LPDDR3 memory 1TB SSD storage Intel Iris Plus Graphics 655 - 6100 руб. Z0V8/2 13-inch MacBook Pro Touch Bar - Space Gray 2.3GHz quad‑core 8th‑generation Intel Core i5 processor, Turbo Boost up to 3.8GHz 8GB 2133MHz LPDDR3 memory 2TB SSD storage Intel Iris Plus Graphics 655 - 7900 руб. Z0VA/2 13-inch MacBook Pro Touch Bar - Silver 2.3GHz quad‑core 8th‑generation Intel Core i5 processor, Turbo Boost up to 3.8GHz 8GB 2133MHz LPDDR3 memory 2TB SSD storage Intel Iris Plus Graphics 655 - 7900 руб. Z0V8/3 13-inch MacBook Pro Touch Bar - Space Gray 2.3GHz quad‑core 8th‑generation Intel Core i5 processor, Turbo Boost up to 3.8GHz 16GB 2133MHz LPDDR3 memory 512GB SSD storage Intel Iris Plus Graphics 655 - 5750 руб. Z0VA/3 13-inch MacBook Pro Touch Bar - Silver 2.3GHz quad‑core 8th‑generation Intel Core i5 processor, Turbo Boost up to 3.8GHz 16GB 2133MHz LPDDR3 memory 512GB SSD storage Intel Iris Plus Graphics 655 - 5750 руб. Z0V8/4 13-inch MacBook Pro Touch Bar - Space Gray 2.3GHz quad‑core 8th‑generation Intel Core i5 processor, Turbo Boost up to 3.8GHz	16GB 2133MHz LPDDR3 memory 1TB SSD storage Intel Iris Plus Graphics 655 - 6600 руб. Z0VA/4 13-inch MacBook Pro Touch Bar - Silver 2.3GHz quad‑core 8th‑generation Intel Core i5 processor, Turbo Boost up to 3.8GHz	16GB 2133MHz LPDDR3 memory 1TB SSD storage Intel Iris Plus Graphics 655 - 6600 руб. Z0V8/5 13-inch MacBook Pro Touch Bar - Space Gray 2.3GHz quad‑core 8th‑generation Intel Core i5 processor, Turbo Boost up to 3.8GHz	16GB 2133MHz LPDDR3 memory 2TB SSD storage Intel Iris Plus Graphics 655 - 8350 руб. Z0VA/5 13-inch MacBook Pro Touch Bar - Silver 2.3GHz quad‑core 8th‑generation Intel Core i5 processor, Turbo Boost up to 3.8GHz	16GB 2133MHz LPDDR3 memory 2TB SSD storage Intel Iris Plus Graphics 655 - 8350 руб. Z0V8/6 13-inch MacBook Pro Touch Bar - Space Gray	2.7GHz quad‑core 8th‑generation Intel Core i7 processor, Turbo Boost up to 4.5GHz	8GB 2133MHz LPDDR3 memory 512GB SSD storage Intel Iris Plus Graphics 655 - 5900 руб. Z0VA/6 13-inch MacBook Pro Touch Bar - Silver 2.7GHz quad‑core 8th‑generation Intel Core i7 processor, Turbo Boost up to 4.5GHz 8GB 2133MHz LPDDR3 memory 512GB SSD storage Intel Iris Plus Graphics 655 - 5900 руб. Z0V8/7 13-inch MacBook Pro Touch Bar - Space Gray	2.7GHz quad‑core 8th‑generation Intel Core i7 processor, Turbo Boost up to 4.5GHz 8GB 2133MHz LPDDR3 memory 1TB SSD storage Intel Iris Plus Graphics 655 - 6800 руб. Z0VA/7 13-inch MacBook Pro Touch Bar - Silver 2.7GHz quad‑core 8th‑generation Intel Core i7 processor, Turbo Boost up to 4.5GHz 8GB 2133MHz LPDDR3 memory 1TB SSD storage Intel Iris Plus Graphics 655 - 6800 руб. Z0V8/8 13-inch MacBook Pro Touch Bar - Space Gray 2.7GHz quad‑core 8th‑generation Intel Core i7 processor, Turbo Boost up to 4.5GHz 8GB 2133MHz LPDDR3 memory 2TB SSD storage Intel Iris Plus Graphics 655 - 8600 руб. Z0VA/8 13-inch MacBook Pro Touch Bar - Silver 2.7GHz quad‑core 8th‑generation Intel Core i7 processor, Turbo Boost up to 4.5GHz 8GB 2133MHz LPDDR3 memory 2TB SSD storage Intel Iris Plus Graphics 655 - 8600 руб. Z0V8/9 13-inch MacBook Pro Touch Bar - Space Gray 2.7GHz quad‑core 8th‑generation Intel Core i7 processor, Turbo Boost up to 4.5GHz	16GB 2133MHz LPDDR3 memory 512GB SSD storage	Intel Iris Plus Graphics 655 - 6300 руб. Z0VA/9 13-inch MacBook Pro Touch Bar - Silver 2.7GHz quad‑core 8th‑generation Intel Core i7 processor, Turbo Boost up to 4.5GHz 16GB 2133MHz LPDDR3 memory 512GB SSD storage Intel Iris Plus Graphics 655 - 6300 руб. Z0V8/10 13-inch MacBook Pro Touch Bar - Space Gray 2.7GHz quad‑core 8th‑generation Intel Core i7 processor, Turbo Boost up to 4.5GHz 16GB 2133MHz LPDDR3 memory 1TB SSD storage Intel Iris Plus Graphics 655 - 7150 руб. Z0VA/10 13-inch MacBook Pro Touch Bar - Silver 2.7GHz quad‑core 8th‑generation Intel Core i7 processor, Turbo Boost up to 4.5GHz 16GB 2133MHz LPDDR3 memory 1TB SSD storage Intel Iris Plus Graphics 655 - 7150 руб. 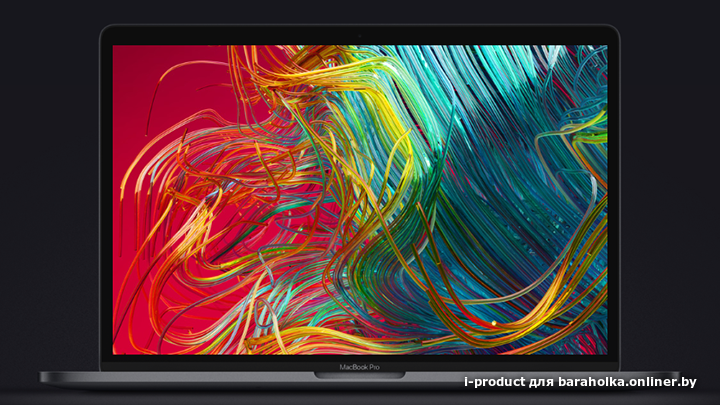 Z0V8/11 13-inch MacBook Pro with Touch Bar - Space Gray 2.7GHz quad‑core 8th‑generation Intel Core i7 processor, Turbo Boost up to 4.5GHz 16GB 2133MHz LPDDR3 memory 2TB SSD storage Intel Iris Plus Graphics 655 - 8900 руб. Z0VA/11 13-inch MacBook Pro Touch Bar - Silver 2.7GHz quad‑core 8th‑generation Intel Core i7 processor, Turbo Boost up to 4.5GHz 16GB 2133MHz LPDDR3 memory 2TB SSD storage	Intel Iris Plus Graphics 655 - 8900 руб. Z0V0/1 15-inch MacBook Pro Touch Bar - Space Gray	2.2GHz 6-core 8th-generation Intel Core i7 processor, Turbo Boost up to 4.1GHz	16GB 2400MHz DDR4 memory	512GB SSD storage	Radeon Pro 555X with 4GB - 6600 руб. Z0V0/2 15-inch MacBook Pro Touch Bar - Space Gray 2.2GHz 6-core 8th-generation Intel Core i7 processor, Turbo Boost up to 4.1GHz	16GB 2400MHz DDR4 memory	1TB SSD storage	Radeon Pro 555X with 4GB - 7400 руб. Z0V0/3 15-inch MacBook Pro with Touch Bar - Space Gray 2.2GHz 6-core 8th-generation Intel Core i7 processor, Turbo Boost up to 4.1GHz 16GB 2400MHz DDR4 memory 2TB SSD storage Radeon Pro 555X with 4GB - 9190 руб. Z0V0/4 15-inch MacBook Pro Touch Bar - Space Gray 2.2GHz 6-core 8th-generation Intel Core i7 processor, Turbo Boost up to 4.1GHz 16GB 2400MHz DDR4 memory 4TB SSD storage Radeon Pro 555X with 4GB - 13200 руб. Z0V0/5 15-inch MacBook Pro Touch Bar - Space Gray 2.2GHz 6-core 8th-generation Intel Core i7 processor, Turbo Boost up to 4.1GHz	32GB 2400MHz DDR4 memory	256GB SSD storage Radeon Pro 555X with 4GB - 7000 руб. Z0V0/6 15-inch MacBook Pro Touch Bar - Space Gray	2.2GHz 6-core 8th-generation Intel Core i7 processor, Turbo Boost up to 4.1GHz 32GB 2400MHz DDR4 memory 512GB SSD storage	Radeon Pro 555X with 4GB - 7400 руб. 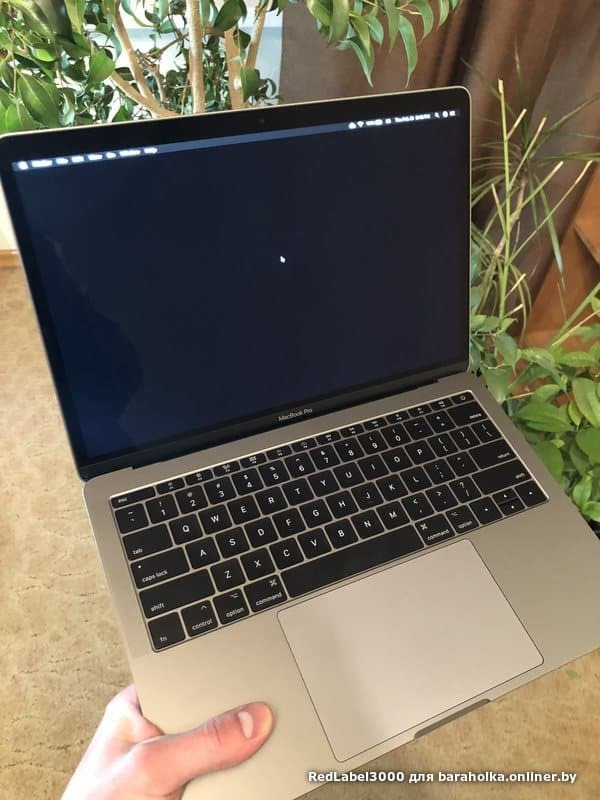 Z0V0/7 15-inch MacBook Pro Touch Bar - Space Gray	2.2GHz 6-core 8th-generation Intel Core i7 processor, Turbo Boost up to 4.1GHz	32GB 2400MHz DDR4 memory	1TB SSD storage	Radeon Pro 555X with 4GB - 8300 руб. Z0V0/8 15-inch MacBook Pro Touch Bar - Space Gray 2.2GHz 6-core 8th-generation Intel Core i7 processor, Turbo Boost up to 4.1GHz 32GB 2400MHz DDR4 memory 2TB SSD storage Radeon Pro 555X with 4GB - 10150 руб. Z0V0/9 15-inch MacBook Pro Touch Bar - Space Gray 2.2GHz 6-core 8th-generation Intel Core i7 processor, Turbo Boost up to 4.1GHz 32GB 2400MHz DDR4 memory 4TB SSD storage Radeon Pro 555X with 4GB - 14200 руб. Z0V0/10 15-inch MacBook Pro Touch Bar - Space Gray	2.9GHz 6-core 8th-generation Intel Core i9 processor, Turbo Boost up to 4.8GHz	16GB 2400MHz DDR4 memory	256GB SSD storage	Radeon Pro 555X with 4GB - 7000 руб. Z0V0/11 15-inch MacBook Pro Touch Bar - Space Gray	2.9GHz 6-core 8th-generation Intel Core i9 processor, Turbo Boost up to 4.8GHz	16GB 2400MHz DDR4 memory	512GB SSD storage	Radeon Pro 555X with 4GB - 7400 руб. Z0V0/12 15-inch MacBook Pro Touch Bar - Space Gray 2.9GHz 6-core 8th-generation Intel Core i9 processor, Turbo Boost up to 4.8GHz 16GB 2400MHz DDR4 memory 1TB SSD storage Radeon Pro 555X with 4GB - 8300 руб. Z0V0/13 15-inch MacBook Pro Touch Bar - Space Gray 2.9GHz 6-core 8th-generation Intel Core i9 processor, Turbo Boost up to 4.8GHz	16GB 2400MHz DDR4 memory	2TB SSD storage	Radeon Pro 555X with 4GB - 10150 руб. Z0V0/14 15-inch MacBook Pro Touch Bar - Space Gray	2.9GHz 6-core 8th-generation Intel Core i9 processor, Turbo Boost up to 4.8GHz	16GB 2400MHz DDR4 memory	4TB SSD storage	Radeon Pro 555X with 4GB -14200 руб. Z0V0/15 15-inch MacBook Pro Touch Bar - Space Gray	2.9GHz 6-core 8th-generation Intel Core i9 processor, Turbo Boost up to 4.8GHz	32GB 2400MHz DDR4 memory	256GB SSD storage	Radeon Pro 555X with 4GB - 7900 руб. Z0V0/16 15-inch MacBook Pro Touch Bar - Space Gray 2.9GHz 6-core 8th-generation Intel Core i9 processor, Turbo Boost up to 4.8GHz	32GB 2400MHz DDR4 memory	512GB SSD storage	Radeon Pro 555X with 4GB - 8300 руб. Z0V0/17 15-inch MacBook Pro Touch Bar - Space Gray	2.9GHz 6-core 8th-generation Intel Core i9 processor, Turbo Boost up to 4.8GHz	32GB 2400MHz DDR4 memory	1TB SSD storage	Radeon Pro 555X with 4GB - 9350 руб. Z0V0/18 15-inch MacBook Pro Touch Bar - Space Gray	2.9GHz 6-core 8th-generation Intel Core i9 processor, Turbo Boost up to 4.8GHz	32GB 2400MHz DDR4 memory	2TB SSD storage	Radeon Pro 555X with 4GB - 10900 руб. Z0V0/19 15-inch MacBook Pro Touch Bar - Space Gray	2.9GHz 6-core 8th-generation Intel Core i9 processor, Turbo Boost up to 4.8GHz	32GB 2400MHz DDR4 memory	4TB SSD storage	Radeon Pro 555X with 4GB - 15000 руб. Z0V0/20 15-inch MacBook Pro Touch Bar - Space Gray 2.2GHz 6-core 8th-generation Intel Core i7 processor, Turbo Boost up to 4.1GHz 16GB 2400MHz DDR4 memory 256GB SSD storage	Radeon Pro 560X with 4GB - 6450 руб. Z0V0/21 15-inch MacBook Pro Touch Bar - Space Gray	2.2GHz 6-core 8th-generation Intel Core i7 processor, Turbo Boost up to 4.1GHz	16GB 2400MHz DDR4 memory	512GB SSD storage	Radeon Pro 560X with 4GB - 6800 руб. Z0V0/22 15-inch MacBook Pro Touch Bar - Space Gray 2.2GHz 6-core 8th-generation Intel Core i7 processor, Turbo Boost up to 4.1GHz 16GB 2400MHz DDR4 mem 1TB SSD storage	Radeon Pro 560X with 4GB - 7600 руб. Z0V0/23 15-inch MacBook Pro Touch Bar - Space Gray 2.2GHz 6-core 8th-generation Intel Core i7 processor, Turbo Boost up to 4.1GHz 16GB 2400MHz DDR4 memory 2TB SSD storage Radeon Pro 560X with 4GB - 9280 руб. Z0V0/24 15-inch MacBook Pro Touch Bar - Space Gray	2.2GHz 6-core 8th-generation Intel Core i7 processor, Turbo Boost up to 4.1GHz	16GB 2400MHz DDR4 memory	4TB SSD storage	Radeon Pro 560X with 4GB - 13400 руб. Z0V0/25 15-inch MacBook Pro Touch Bar - Space Gray	2.2GHz 6-core 8th-generation Intel Core i7 processor, Turbo Boost up to 4.1GHz	32GB 2400MHz DDR4 memory	256GB SSD storage	Radeon Pro 560X with 4GB - 7200 руб. Z0V0/26 15-inch MacBook Pro Touch Bar - Space Gray	2.2GHz 6-core 8th-generation Intel Core i7 processor, Turbo Boost up to 4.1GHz	32GB 2400MHz DDR4 memory	512GB SSD storage Radeon Pro 560X with 4GB - 7600 руб. Z0V0/27 15-inch MacBook Pro Touch Bar - Space Gray	2.2GHz 6-core 8th-generation Intel Core i7 processor, Turbo Boost up to 4.1GHz	32GB 2400MHz DDR4 memory	1TB SSD storage	Radeon Pro 560X with 4GB - 8100 руб. Z0V0/28 15-inch MacBook Pro Touch Bar - Space Gray	2.2GHz 6-core 8th-generation Intel Core i7 processor, Turbo Boost up to 4.1GHz	32GB 2400MHz DDR4 memory	2TB SSD storage	Radeon Pro 560X with 4GB - 10300 руб. Z0V0/29 15-inch MacBook Pro Touch Bar - Space Gray 2.2GHz 6-core 8th-generation Intel Core i7 processor, Turbo Boost up to 4.1GHz	32GB 2400MHz DDR4 memory	4TB SSD storage	Radeon Pro 560X with 4GB - 14400 руб. Z0V0/30 15-inch MacBook Pro Touch Bar - Space Gray	2.9GHz 6-core 8th-generation Intel Core i9 processor, Turbo Boost up to 4.8GHz	16GB 2400MHz DDR4 memory	256GB SSD storage	Radeon Pro 560X with 4GB -7200 руб. Z0V0/31 15-inch MacBook Pro Touch Bar - Space Gray	2.9GHz 6-core 8th-generation Intel Core i9 processor, Turbo Boost up to 4.8GHz	16GB 2400MHz DDR4 memory	512GB SSD storage	Radeon Pro 560X with 4GB -7600 руб. Z0V0/32 15-inch MacBook Pro Touch Bar - Space Gray	2.9GHz 6-core 8th-generation Intel Core i9 processor, Turbo Boost up to 4.8GHz	16GB 2400MHz DDR4 memory	1TB SSD storage	Radeon Pro 560X with 4GB - 8500 руб. Z0V0/33 15-inch MacBook Pro Touch Bar - Space Gray	2.9GHz 6-core 8th-generation Intel Core i9 processor, Turbo Boost up to 4.8GHz	16GB 2400MHz DDR4 memory	2TB SSD storage	Radeon Pro 560X with 4GB - 10300 руб. Z0V0/34 15-inch MacBook Pro Touch Bar - Space Gray	2.9GHz 6-core 8th-generation Intel Core i9 processor, Turbo Boost up to 4.8GHz	16GB 2400MHz DDR4 memory	4TB SSD storage	Radeon Pro 560X with 4GB- 14400 руб. Z0V0/35 15-inch MacBook Pro Touch Bar - Space Gray	2.9GHz 6-core 8th-generation Intel Core i9 processor, Turbo Boost up to 4.8GHz	32GB 2400MHz DDR4 memory	256GB SSD storage	Radeon Pro 560X with 4GB - 8100 руб. Z0V0/36 15-inch MacBook Pro Touch Bar - Space Gray	2.9GHz 6-core 8th-generation Intel Core i9 processor, Turbo Boost up to 4.8GHz	32GB 2400MHz DDR4 memory	512GB SSD storage	Radeon Pro 560X with 4GB - 8500 руб. Z0V0/37 15-inch MacBook Pro Touch Bar - Space Gray	2.9GHz 6-core 8th-generation Intel Core i9 processor, Turbo Boost up to 4.8GHz	32GB 2400MHz DDR4 memory	1TB SSD storage	Radeon Pro 560X with 4GB - 9280 руб. Z0V0/38 15-inch MacBook Pro Touch Bar - Space Gray	2.9GHz 6-core 8th-generation Intel Core i9 processor, Turbo Boost up to 4.8GHz	32GB 2400MHz DDR4 memory	2TB SSD storage	Radeon Pro 560X with 4GB- 11200 руб. Z0V0/39 15-inch MacBook Pro Touch Bar - Space Gray	2.9GHz 6-core 8th-generation Intel Core i9 processor, Turbo Boost up to 4.8GHz	32GB 2400MHz DDR4 memory	4TB SSD storage	Radeon Pro 560X with 4GB - 15200 руб. Z0V2/1 15-inch MacBook Pro Touch Bar - Silver	2.2GHz 6-core 8th-generation Intel Core i7 processor, Turbo Boost up to 4.1GHz 16GB 2400MHz DDR4 memory	512GB SSD storage	Radeon Pro 555X with 4GB - 6600 руб. Z0V2/2 15-inch MacBook Pro Touch Bar - Silver	2.2GHz 6-core 8th-generation Intel Core i7 processor, Turbo Boost up to 4.1GHz	16GB 2400MHz DDR4 memory	1TB SSD storage	Radeon Pro 555X with 4GB - 7400 руб. Z0V2/3 15-inch MacBook Pro Touch Bar - Silver	2.2GHz 6-core 8th-generation Intel Core i7 processor, Turbo Boost up to 4.1GHz	16GB 2400MHz DDR4 memory	2TB SSD storage	Radeon Pro 555X with 4GB- 9190 руб. Z0V2/4 15-inch MacBook Pro Touch Bar - Silver	2.2GHz 6-core 8th-generation Intel Core i7 processor, Turbo Boost up to 4.1GHz	16GB 2400MHz DDR4 memory	4TB SSD storage	Radeon Pro 555X with 4GB - 13200 руб. Z0V2/5 15-inch MacBook Pro Touch Bar - Silver 2.2GHz 6-core 8th-generation Intel Core i7 processor, Turbo Boost up to 4.1GHz 32GB 2400MHz DDR4 mem 256GB SSD storage	Radeon Pro 555X with 4GB - 7000 руб. Z0V2/6 15-inch MacBook Pro Touch Bar - Silver	2.2GHz 6-core 8th-generation Intel Core i7 processor, Turbo Boost up to 4.1GHz	32GB 2400MHz DDR4 memory	512GB SSD storage	Radeon Pro 555X with 4GB - 7400 руб. Z0V2/7 15-inch MacBook Pro Touch Bar - Silver	2.2GHz 6-core 8th-generation Intel Core i7 processor, Turbo Boost up to 4.1GHz	32GB 2400MHz DDR4 memory	1TB SSD storage	Radeon Pro 555X with 4GB - 8300 руб. Z0V2/8 15-inch MacBook Pro Touch Bar - Silver	2.2GHz 6-core 8th-generation Intel Core i7 processor, Turbo Boost up to 4.1GHz	32GB 2400MHz DDR4 memory	2TB SSD storage	Radeon Pro 555X with 4GB - 10150 руб. Z0V2/9 15-inch MacBook Pro Touch Bar - Silver	2.2GHz 6-core 8th-generation Intel Core i7 processor, Turbo Boost up to 4.1GHz	32GB 2400MHz DDR4 memory	4TB SSD storage	Radeon Pro 555X with 4GB - 14200 руб. Z0V2/10 15-inch MacBook Pro Touch Bar - Silver	2.9GHz 6-core 8th-generation Intel Core i9 processor, Turbo Boost up to 4.8GHz	16GB 2400MHz DDR4 memory	256GB SSD storage	Radeon Pro 555X with 4GB - 7000 руб. Z0V2/11	15-inch MacBook Pro Touch Bar - Silver	2.9GHz 6-core 8th-generation Intel Core i9 processor, Turbo Boost up to 4.8GHz	16GB 2400MHz DDR4 memory	512GB SSD storage	Radeon Pro 555X with 4GB - 7400 руб. Z0V2/12 15-inch MacBook Pro Touch Bar - Silver	2.9GHz 6-core 8th-generation Intel Core i9 processor, Turbo Boost up to 4.8GHz	16GB 2400MHz DDR4 memory	1TB SSD storage	Radeon Pro 555X with 4GB - 8300 руб. Z0V2/13	15-inch MacBook Pro Touch Bar - Silver	2.9GHz 6-core 8th-generation Intel Core i9 processor, Turbo Boost up to 4.8GHz	16GB 2400MHz DDR4 memory	2TB SSD storage	Radeon Pro 555X with 4GB -10150 руб. Z0V2/14 15-inch MacBook Pro Touch Bar - Silver	2.9GHz 6-core 8th-generation Intel Core i9 processor, Turbo Boost up to 4.8GHz	16GB 2400MHz DDR4 memory	4TB SSD storage	Radeon Pro 555X with 4GB - 14200 руб. Z0V2/15 15-inch MacBook Pro Touch Bar - Silver	2.9GHz 6-core 8th-generation Intel Core i9 processor, Turbo Boost up to 4.8GHz	32GB 2400MHz DDR4 memory	256GB SSD storage	Radeon Pro 555X with 4GB - 7900 руб. Z0V2/16 15-inch MacBook Pro Touch Bar - Silver	2.9GHz 6-core 8th-generation Intel Core i9 processor, Turbo Boost up to 4.8GHz	32GB 2400MHz DDR4 memory	512GB SSD storage	Radeon Pro 555X with 4GB - 8300 руб. Z0V2/17 15-inch MacBook Pro Touch Bar - Silver	2.9GHz 6-core 8th-generation Intel Core i9 processor, Turbo Boost up to 4.8GHz 32GB 2400MHz DDR4 memory 1TB SSD storage	Radeon Pro 555X with 4GB - 9350 руб. Z0V2/18 15-inch MacBook Pro Touch Bar - Silver	2.9GHz 6-core 8th-generation Intel Core i9 processor, Turbo Boost up to 4.8GHz	32GB 2400MHz DDR4 memory	2TB SSD storage	Radeon Pro 555X with 4GB - 10900 руб. Z0V2/19 15-inch MacBook Pro Touch Bar - Silver	2.9GHz 6-core 8th-generation Intel Core i9 processor, Turbo Boost up to 4.8GHz	32GB 2400MHz DDR4 memory	4TB SSD storage	Radeon Pro 555X with 4GB - 15000 руб. Z0V2/20 15-inch MacBook Pro Touch Bar - Silver	2.2GHz 6-core 8th-generation Intel Core i7 processor, Turbo Boost up to 4.1GHz	16GB 2400MHz DDR4 memory	256GB SSD storage	Radeon Pro 560X with 4GB - 6450 руб. Z0V2/21 15-inch MacBook Pro Touch Bar - Silver	2.2GHz 6-core 8th-generation Intel Core i7 processor, Turbo Boost up to 4.1GHz	16GB 2400MHz DDR4 memory	512GB SSD storage	Radeon Pro 560X with 4GB - 6800 руб. Z0V2/22 15-inch MacBook Pro Touch Bar - Silver	2.2GHz 6-core 8th-generation Intel Core i7 processor, Turbo Boost up to 4.1GHz	16GB 2400MHz DDR4 memory	1TB SSD storage	Radeon Pro 560X with 4GB - 7600 руб. Z0V2/23 15-inch MacBook Pro Touch Bar - Silver	2.2GHz 6-core 8th-generation Intel Core i7 processor, Turbo Boost up to 4.1GHz 16GB 2400MHz DDR4 memory	2TB SSD storage	Radeon Pro 560X with 4GB - 9280 руб. Z0V2/24 15-inch MacBook Pro Touch Bar - Silver	2.2GHz 6-core 8th-generation Intel Core i7 processor, Turbo Boost up to 4.1GHz	16GB 2400MHz DDR4 memory	4TB SSD storage	Radeon Pro 560X with 4GB - 13400 руб. Z0V2/25 15-inch MacBook Pro Touch Bar - Silver	2.2GHz 6-core 8th-generation Intel Core i7 processor, Turbo Boost up to 4.1GHz	32GB 2400MHz DDR4 memory	256GB SSD storage	Radeon Pro 560X with 4GB - 7200 руб. Z0V2/26	15-inch MacBook Pro Touch Bar - Silver	2.2GHz 6-core 8th-generation Intel Core i7 processor, Turbo Boost up to 4.1GHz	32GB 2400MHz DDR4 memory	512GB SSD storage	Radeon Pro 560X with 4GB - 7600 руб. Z0V2/27 15-inch MacBook Pro Touch Bar - Silver	2.2GHz 6-core 8th-generation Intel Core i7 processor, Turbo Boost up to 4.1GHz	32GB 2400MHz DDR4 memory	1TB SSD storage	Radeon Pro 560X with 4GB - 8100 руб. Z0V2/28 15-inch MacBook Pro Touch Bar - Silver	2.2GHz 6-core 8th-generation Intel Core i7 processor, Turbo Boost up to 4.1GHz	32GB 2400MHz DDR4 memory	2TB SSD storage	Radeon Pro 560X with 4GB - 10300 руб. Z0V2/29 15-inch MacBook Pro Touch Bar - Silver	2.2GHz 6-core 8th-generation Intel Core i7 processor, Turbo Boost up to 4.1GHz	32GB 2400MHz DDR4 memory	4TB SSD storage	Radeon Pro 560X with 4GB - 14400 руб. Z0V2/30 15-inch MacBook Pro Touch Bar - Silver	2.9GHz 6-core 8th-generation Intel Core i9 processor, Turbo Boost up to 4.8GHz 16GB 2400MHz DDR4 memory	256GB SSD storage	Radeon Pro 560X with 4GB - 7200 руб. Z0V2/31 15-inch MacBook Pro Touch Bar - Silver	2.9GHz 6-core 8th-generation Intel Core i9 processor, Turbo Boost up to 4.8GHz 16GB 2400MHz DDR4 memory	512GB SSD storage	Radeon Pro 560X with 4GB - 7600 руб. Z0V2/32 15-inch MacBook Pro Touch Bar - Silver	2.9GHz 6-core 8th-generation Intel Core i9 processor, Turbo Boost up to 4.8GHz 16GB 2400MHz DDR4 mem 1TB SSD storage	Radeon Pro 560X with 4GB - 8500 руб. Z0V2/33 15-inch MacBook Pro Touch Bar - Silver	2.9GHz 6-core 8th-generation Intel Core i9 processor, Turbo Boost up to 4.8GHz	16GB 2400MHz DDR4 memory	2TB SSD storage	Radeon Pro 560X with 4GB - 10300 руб. Z0V2/34[/color] 15-inch MacBook Pro Touch Bar - Silver	2.9GHz 6-core 8th-generation Intel Core i9 processor, Turbo Boost up to 4.8GHz	16GB 2400MHz DDR4 memory	4TB SSD storage	Radeon Pro 560X with 4GB - 14400 руб. Z0V2/35 15-inch MacBook Pro Touch Bar - Silver	2.9GHz 6-core 8th-generation Intel Core i9 processor, Turbo Boost up to 4.8GHz	32GB 2400MHz DDR4 memory	256GB SSD storage	Radeon Pro 560X with 4GB - 8100 руб. Z0V2/36	15-inch MacBook Pro Touch Bar - Silver	2.9GHz 6-core 8th-generation Intel Core i9 processor, Turbo Boost up to 4.8GHz	32GB 2400MHz DDR4 memory	512GB SSD storage	Radeon Pro 560X with 4GB - 8500 руб. Z0V2/37 15-inch MacBook Pro Touch Bar - Silver	2.9GHz 6-core 8th-generation Intel Core i9 processor, Turbo Boost up to 4.8GHz	32GB 2400MHz DDR4 memory	1TB SSD storage	Radeon Pro 560X with 4GB - 9280 руб. Z0V2/38 15-inch MacBook Pro Touch Bar - Silver	2.9GHz 6-core 8th-generation Intel Core i9 processor, Turbo Boost up to 4.8GHz	32GB 2400MHz DDR4 memory	2TB SSD storage	Radeon Pro 560X with 4GB - 11200 руб. Z0V2/39 15-inch MacBook Pro Touch Bar - Silver	2.9GHz 6-core 8th-generation Intel Core i9 processor, Turbo Boost up to 4.8GHz	32GB 2400MHz DDR4 memory	4TB SSD storage	Radeon Pro 560X with 4GB - 15200 руб. 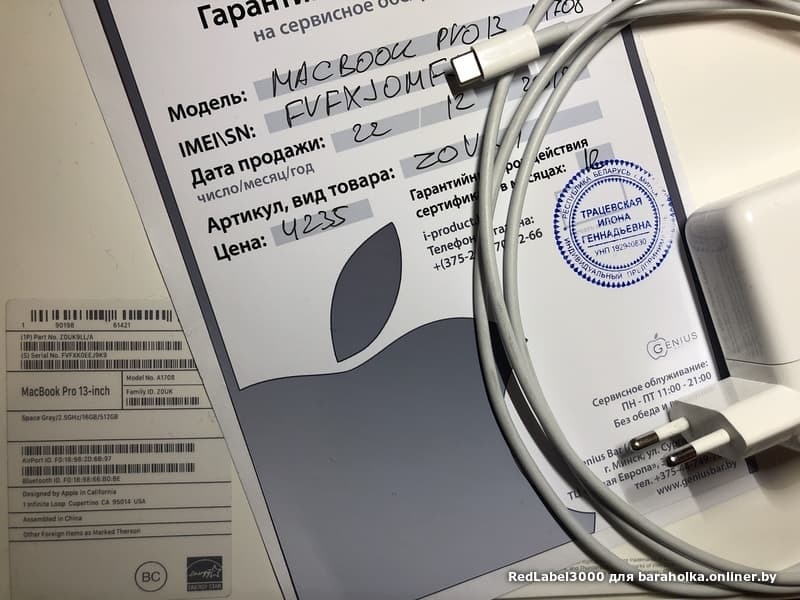 Macbook Pro 2018 15'' i7 16Gb RAM 512Gb SSD Vega 20 почём привезёте? 1. В какие сроки Вы могли бы привезти эту модель? 2. Бывает ли модель с такими же характеристиками без Touch Bar? 3. 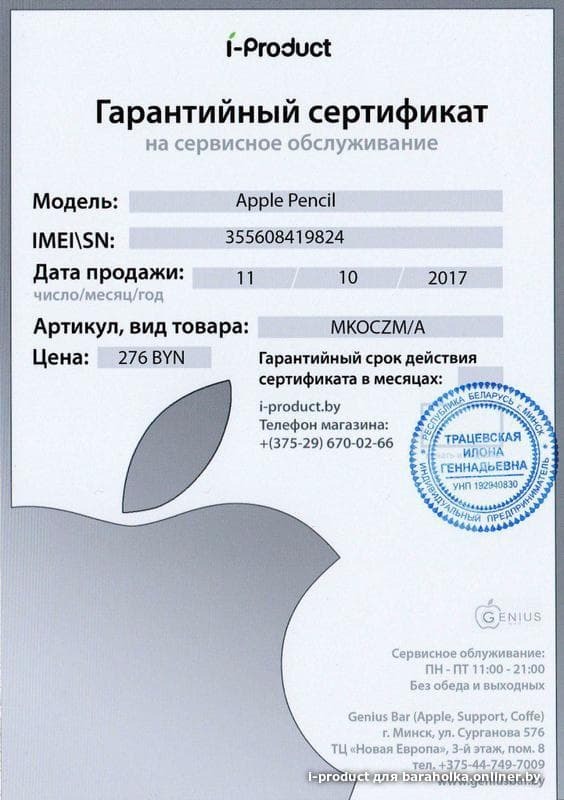 Сколько месяцев Ваша гарантия и Apple? 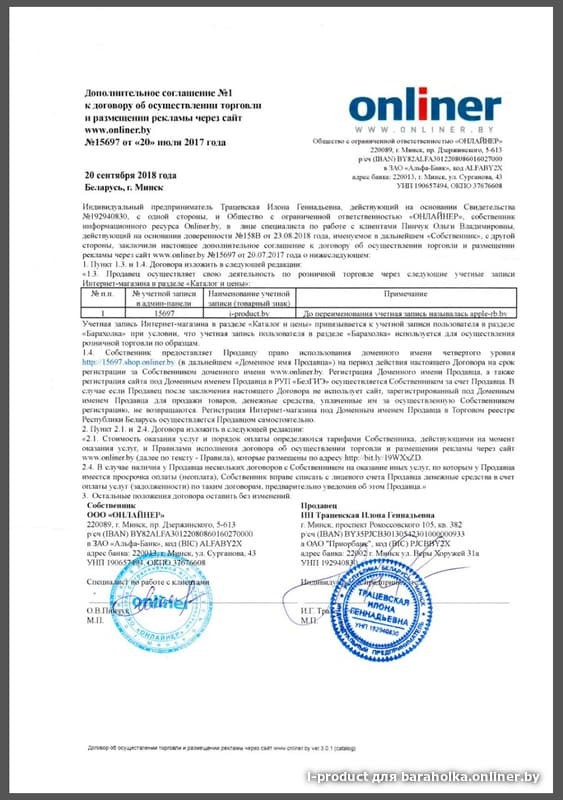 Интересует комплектация Z0V2/37. Сделаете ли скидку за 2 шт? Здравствуйте, у вас ест какие-то модели в наличии, чтобы их вживую увидеть? caif77, Добрый день ! Некоторые модели есть в наличии, подробности в личных сообщения в течении 5-ти минут. Спасибо.